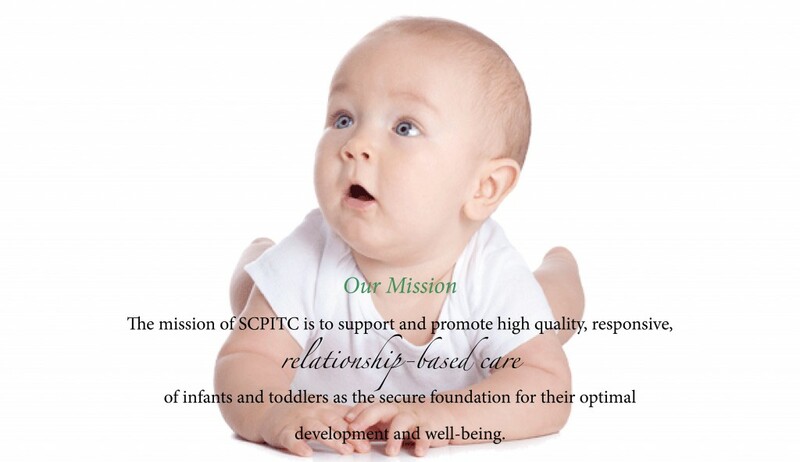 The SCPITC promotes responsive, relationship-based approach to infant/toddler care. The positions advocated by the South Carolina PITC are based in sound child development and family support research, theory and practice. The SCPITC is adapted from the Program for Infant/Toddler Care in California at the WestEd Center for Child and Family Studies which is recognized nationally and internationally for their effective training strategies emphasizing an approach that encourages self-reflection and builds on the strengths of individual programs and teachers. The South Carolina PITC resides at the MUSC Boeing Center for Children’s Wellness and is generously supported by the DSS Division of Early Care and Education.